Mike Azzie, a friend of Oscar Pistorius said on monday In a documentary on the BBC, that the Golden boy was “close to suicide”after the death of his fiancée Reeva Steekamp. “After talking to him, Id say hes a broken man and I would even say that he is on the verge of suicide. This really worries me” said Mike Azzie. False, says Pistorius family. “Oscar is deeply saddened but despite the tragic circumstances, he is not at all to the brink of suicide, contrary to rumors,” advised the family of Oscar Pistorius said in a statement. “Oscar, although broken, is convinced to have a goal in life and work for it. Media information to the contrary are false, “added Arnold Pistorius, his uncle, who insists that his family is very present for him. 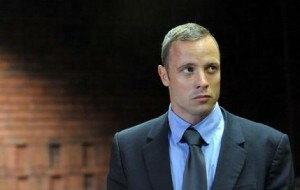 Short of money, Pistorius could to sell his house in Pretoria. Home where his small died on February 14. Next post Champions League: Drogba savior of Galatasaray?